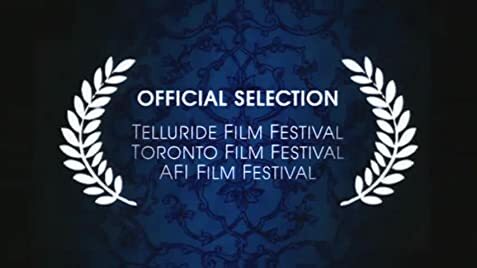 I recently saw this at the 2009 Palm Springs International Film Festival and it would be among my favorites of this years festival. 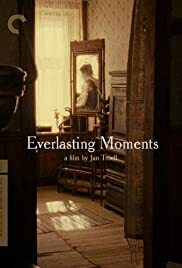 Everlasting moments was Sweden's official entry for the 81st Academy Awards and although not nominated it did make the short list of nine and it was nominated for a Golden Globe Award for Best Foreign Language Film. Set in the port city of Malmo in Southern Sweden beginning in the year 1907 it tells the story of Maria Larsson (Maria Heiskanen) and her hard working dock worker husband Sigfrid (Mikael Persbrandt) who is abusive to Maria and battles the bottle and infidelity issues. Maria is a Finnish immigrant married to the Swedish Sigfrid and they have a rocky marriage but Sigfrid is a good provider when sober and they start a large family. Maria once won a camera in a lottery and is considering selling it when the Danish owner of a photography shop, Jesper (Sabastian Pederson) convinces her to use the camera and become an amateur photographer. It begins a long friendship between Jesper and Maria much to the chagrin of Sigfrid. The story is told in narrative by the Larsson's daughter Maja (Callin Ohrvall) as she remembers the hardships of life in early 20th century Sweden and the strengths of her mother that kept the family together. It's kind of reminiscent of the 40's film classic I Remember Mama. A wonderful story based on the remembrances of a real life Maja who lived from 1902 to 1991. From veteran director Jan Troell its a beautiful period piece with wonderful cinematography by Mischa Gaurjusjov and Troell himself. The attention to detail in reproducing the times is amazing from set designer Peter Bauman and costume designer Karen Gram. I would give this a 9.5 out of 10 and recommend it.